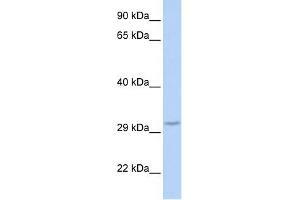 FBXO27 antibody used at 1 ug/ml to detect target protein. Background Members of the F-box protein family, such as FBXO27, are characterized by an approximately 40-amino acid F-box motif. SCF complexes, formed by SKP1, cullin, and F-box proteins, act as protein-ubiquitin ligases. F-box proteins interact with SKP1 through the F box, and they interact with ubiquitination targets through other protein interaction domains.Members of the F-box protein family, such as FBXO27, are characterized by an approximately 40-amino acid F-box motif. SCF complexes, formed by SKP1, cullin, and F-box proteins, act as protein-ubiquitin ligases. F-box proteins interact with SKP1 through the F box, and they interact with ubiquitination targets through other protein interaction domains. 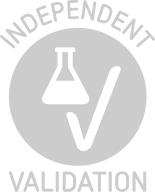 Optimal conditions should be determined by the investigator. Dilute only prior to immediate use. Storage Comment Store at 2-8 °C for short periods. For longer periods of storage, store at -20 °C.